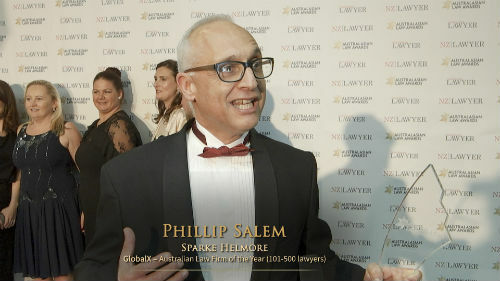 The global head of pro-bono at Herbert Smith Freehills has been recognised for her work in increasing participation of the indigenous population in the legal profession. Brooke Massender was awarded the CareerTrackers co-chair’s award at an event in Sydney last week, honouring her long-standing support for its Indigenous Interns program. Herbert Smith Freehills was the first law firm to joint he program back in 2011, and the firm’s regional managing partner Andrew Pike says it reflects Ms. Massender’s contribution to the board as a trusted advisor. Bird & Bird has advised ASX-listed Speedcast International Ltd. on a landmark deal to supply managed satellite services to NBN Co Ltd. The 10-year agreement valued at up to AU$184 million is Speedcast’s largest deal by value to date. Bird & Bird also advised the firm on agreements with Gilat Satellite Networks to supply the underlying platform. The team was led by Sydney-based partner Thomas Jones, assisted by senior associate Michael Stojanovic. Shane Barber, Bird & Bird's Managing Partner in Australia commnted: "As a firm, we are focused on working with innovative clients who are being shaped and transformed by the digital world. This project with Speedcast and nbn is an exemplary demonstration of our vision in practice." Natasha Toholka will join the team at Norton Rose Fulbright in Melbourne later this month. The experienced restructuring and insolvency partner was most recently with Hall & Willcox and has almost 20 years’ experience working closely with financiers and insolvency practitioners. Ms. Toholka will join the firm on 26th February. What Pro Bono support is there for the thousands of Non-Incorporated Micro Businesses devastated by the illegal imposition of Fairwork without Corporations Act Jurisdiction since 2011?.The facts are quite clear and the legal fraternity is still blocking a test case going to court,what is your position in this? regards Mike & Family.